A great way for the kids to be introduced to scuba diving! 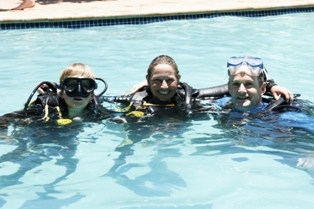 They can try diving with an instructor in the pool - it's fun, easy and safe. This experience lasts approximately 1 hour. 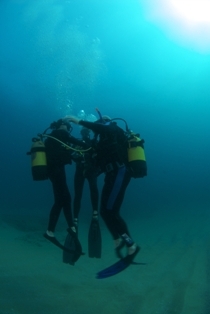 If you have not dived for a while, why not hop in the pool with an instructor first. Re-familiarise yourself with the equipment and practise your skills. It all comes back to you pretty quickly, "like riding a bike!"